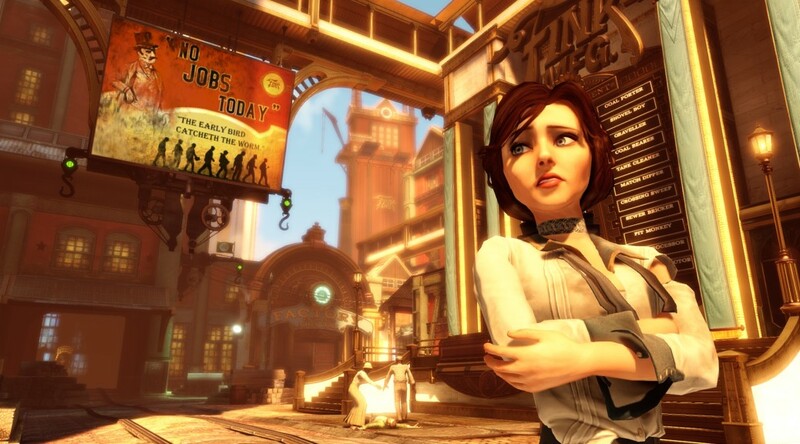 Bioshock Infinite is a story about choices and their consequences, relationships, manipulation, the trousers of time, and how people react to terrible things. It’s also about a finger that is far more significant than it seems. 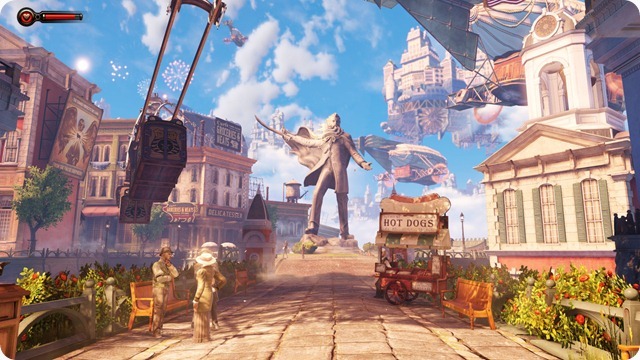 Bioshock Infinite is equal parts drama, horror, and The Outer Limits, spiced with flashbacks, flashforwards and Disney-Princess moments and littered with foreshadowings for those of you keeping score at home. And then, there’s the other stuff. All of this is punctuated with violence. Not just any violence, but visceral, gory, ridiculous violence – The Evil Dead (1981) sort of violence, punctuating the story like a series of hand-crafted parodic set-pieces. Jarring, overdone, outré, overly-gamey, and yet, for all my distaste for the intricately-crafted bloodbaths of this single-path shooter, it remains that it is arguably vital to the core of the story.